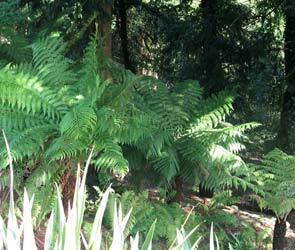 The Fern Garden is in a shady area below the house. 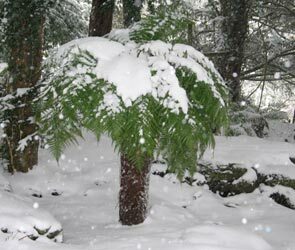 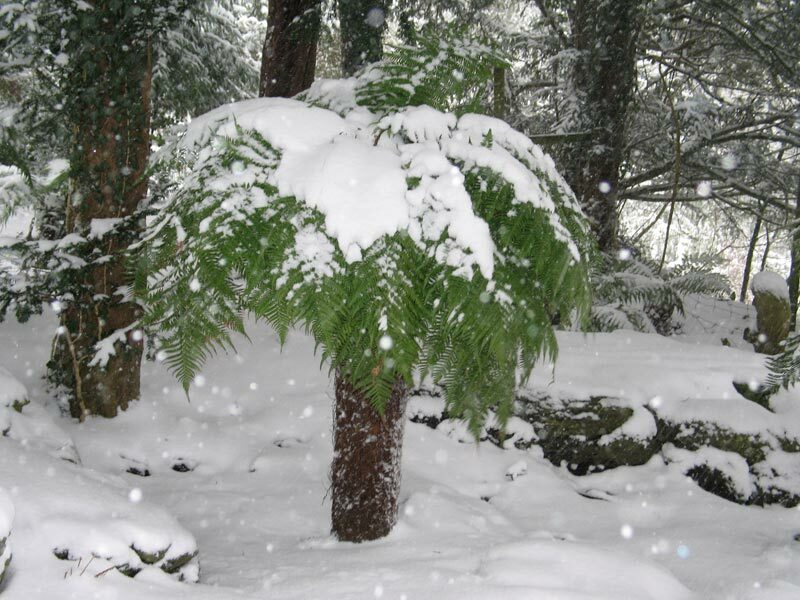 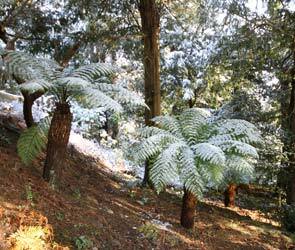 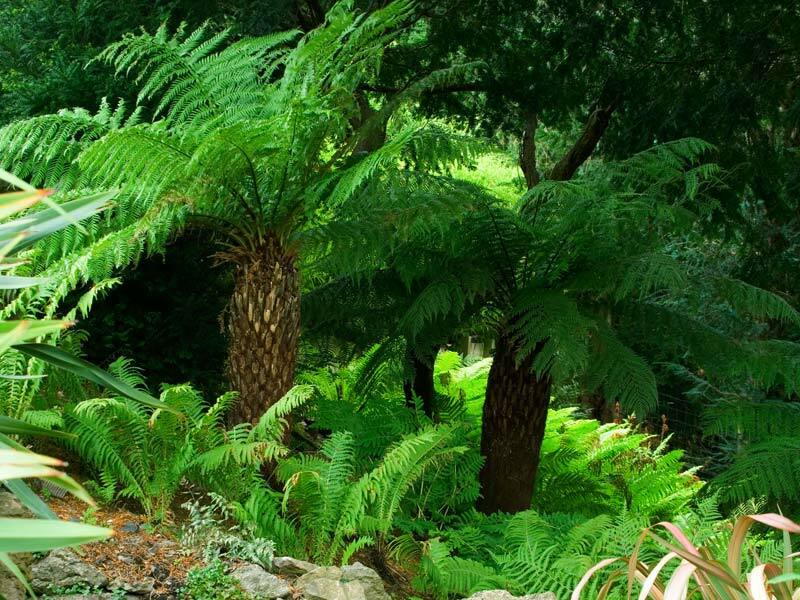 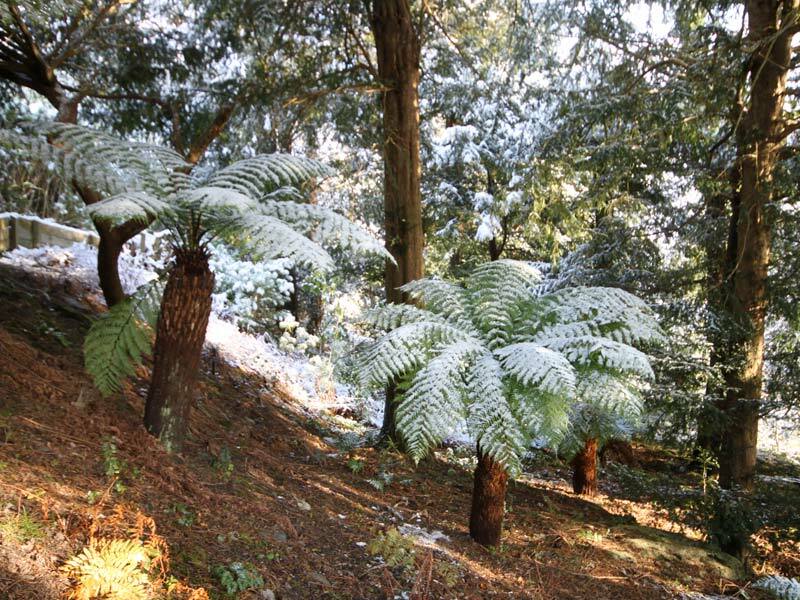 Its main feature is a group of mature tree ferns which are protected by a canopy of yew trees. 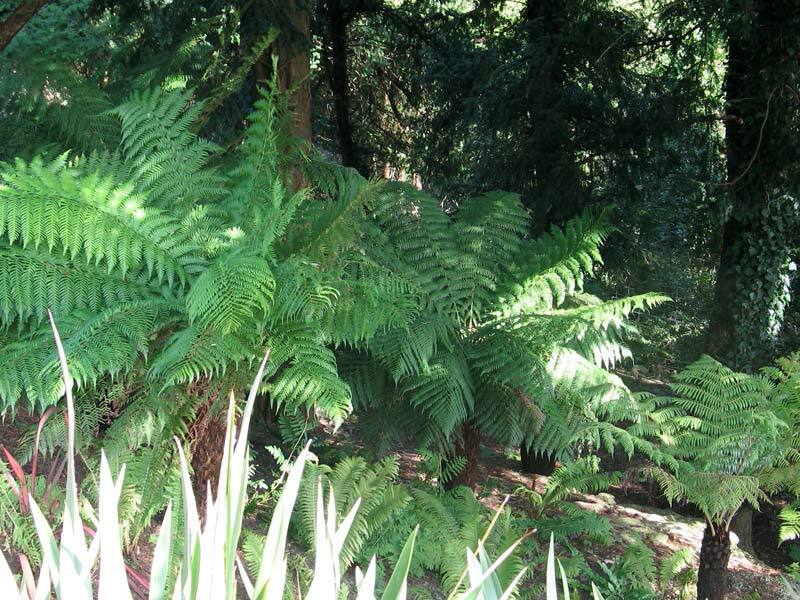 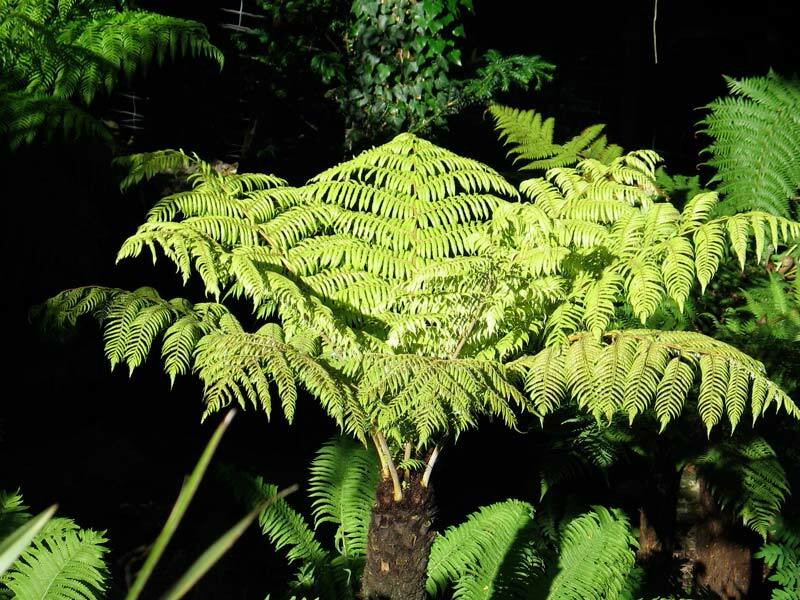 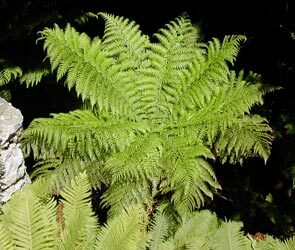 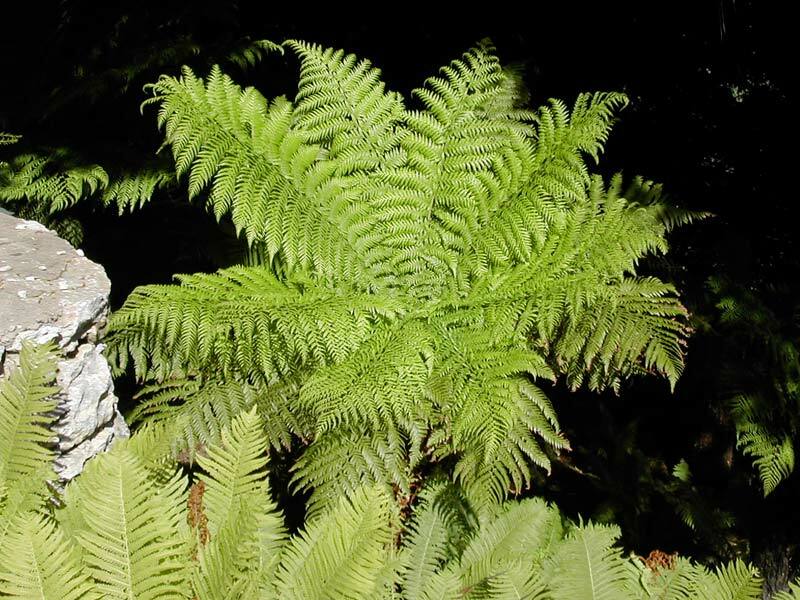 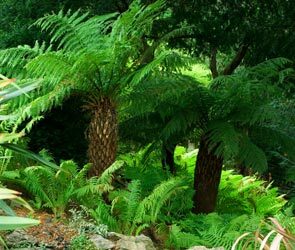 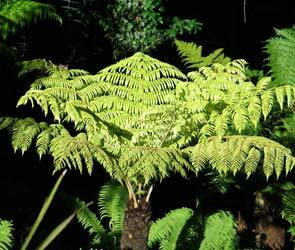 Ground cover is provided by ferns which have been transplanted from other parts of the garden and which have naturalised well, including Royal ferns and there are also one or two unusual varieties such as Woodwardia Radicans and painted Japanese ferns.